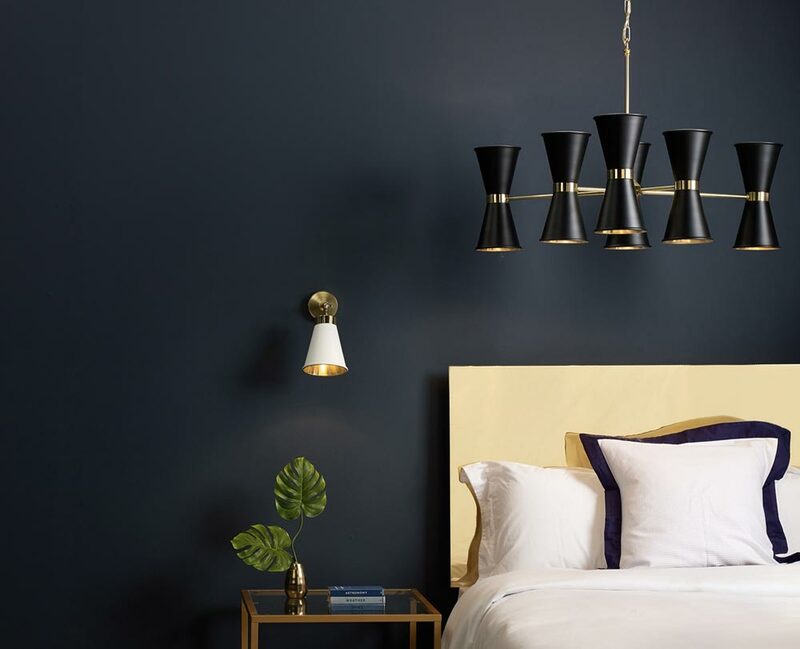 This David Hunt Lighting Hyde 12 light pendant in polished brass with black shades is contemporary and handmade in Britain from solid brass and steel. Featuring circular ceiling plate, chain suspension and solid brass frame. Six straight tubular arms radiate from a central rod, with black metal shades made from two cones on top of one another, so one shines up and the other down. This contemporary light is designed and made in Britain by David Hunt Lighting who are well known for the design and manufacture of original hand crafted products such as the Hyde 12 light pendant in polished brass with black shades you see here.